Well, I thought Tuesday was great with temperatures in the 70's, but yesterday was even better. The temperatures crested 80 degrees and I wore shorts for the first time this season. It was awesome to be outside and enjoy both the warmth and the sunlight. 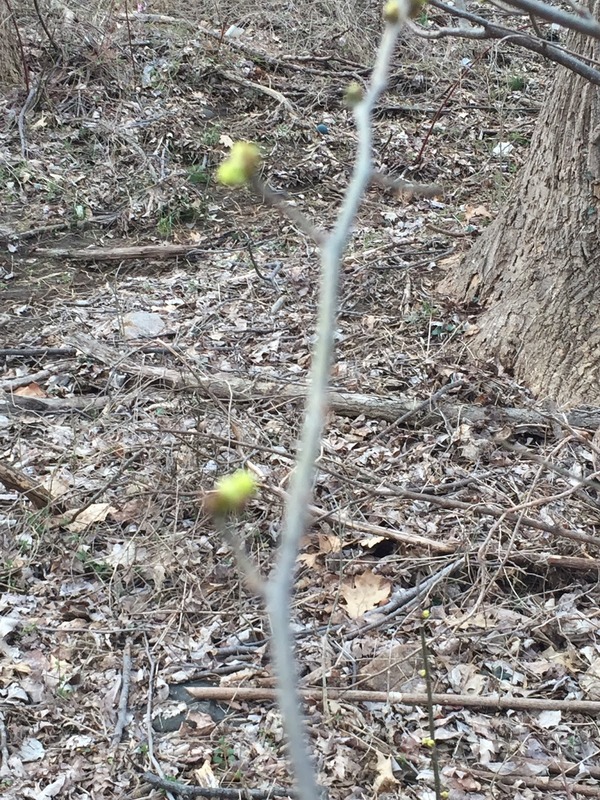 While I was tracking down an errant golf ball, I discovered buds on the trees behind the house. 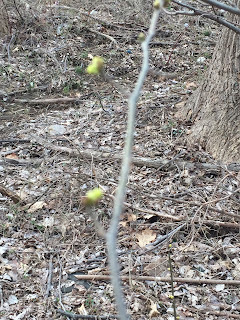 They were a little blurry--but they were definitely emerging from the winter slumber to restore green to the scenery. Today marks the beginning of my southern sojourn for baseball and golf. Be advised, I expect to be writing about mostly those topics for the next couple of days. I may be lucky enough to see the Orioles get their first Spring Training win. The are still mired at a dismal 0-9-1. I am excited about seeing Chris Tillman, our pitching ace get the start today. Even with less than successful baseball, Spring is here. We moved some of the plants outside to enjoy the sunshine and warmth. I want the weather to continue.